The Rutland County Humane Society (RCHS) has been transporting dogs from overcrowded shelters from the southern portion of the US to RCHS for the past few years. We are fortunate that Rutland County (and Vermont) has fewer local dogs needing homes and many local adopters interested in adopting dogs. We are happy to help find homes for dogs who otherwise may not meet their forever families. The transport process often requires that we drive a distance (as much as 4 hours each way) to meet the dogs. The transports are often on week days. 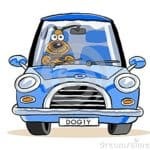 We are in need of volunteers with clean driving records who would be interested in driving our van to pick up the dogs and bring them to RCHS. If you are interested in learning more about this volunteer opportunity please contact Sue at sue@rchsvt.org or 802.483.9171 ext. 204.